This weekend I encountered a situation which required me to make a choice. Should I hold on to unforgiveness or should I forgive? Unforgiveness not only poisons my relationship with the person who hurt me, it also messes with my relationship with God. My focus is on the offense and rehashing it over and over and over again in my mind. I try to come up with the perfect comeback that will silence and bring the one who hurt me to repentance. Then there is the questioning of God. “God, why do you let them do this and get away with it?” Yeah…questioning God…not the best or smartest move on my part. So rather than having the brief sting of someone hurting me, forgiving and moving on…I can drag the drama on for hours if not days. Not real smart is it? Thank You Lord for Your patience and Your Holy Spirit doing a work in me. Thank You for helping me to remember that forgiveness is an act of my will, not necessarily a feeling. Thank You for helping me to desire to obey You. Thank You for reminding me that this person is a believer and You’ve already paid the penalty for their sin. Their sin has been punished and their sin debt has been paid in full. Thank You for reminding me that while You hung on the cross You forgave those people who crucified You. My hurt doesn’t even amount to a tiny little scratch in comparison. 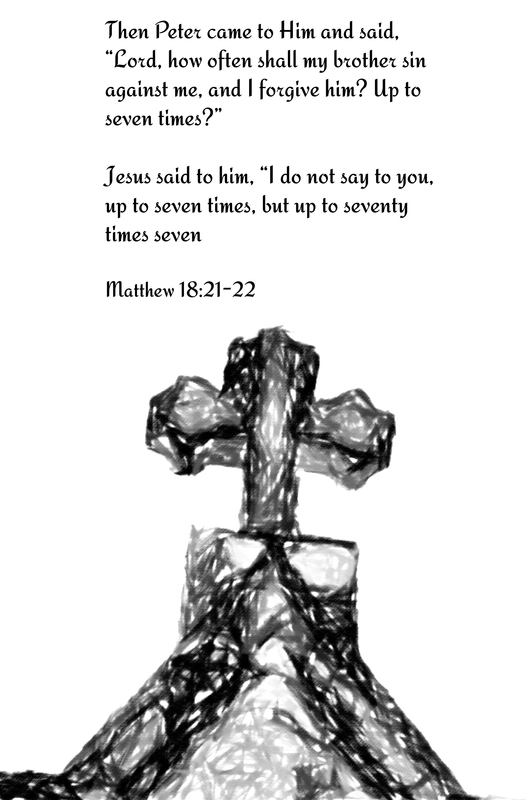 Thank You for the instructions that You recorded in Scripture when You tell Your disciples that they are to forgive 70 x 7…I’m not supposed to put a limit on how much I will forgive someone. Thank You for the reminder that when I sin, I want to be forgiven and not have something held over my head. Thank You for the reminder, I can do all things through Christ who strengthens me, including forgiving someone when I’m hurt. Thank You for the promise that You will one day heal our hurts and brokenness when we are in heaven. Lord…thank You for helping me to forgive. Please Lord, let my feelings catch up with my will and let the memories of hurt fade away.